Once upon a time there was a boy called Ben who lived in Yorkshire, the biggest and best county in England. He grew up on the mean streets of a town called Elland and spent most of his time in the Hudd (Huddersfield). Whilst on his travels, he visited a most beautiful and magical land, a country called Italy. It was here that he discovered Peroni, bresoala, truffle oil, huge mountains, epic trails, spectacular landscapes and something he’d never really felt before in England called ‘sunshine’. Over the last few years I’ve become a seasoned traveller. I work full-time as a teacher in the UK from Monday to Friday, yet most weekends I’m jetting off to compete in mountain races all over Italy. Sometimes I feel like I’m living a double life! I like to travel to different destinations for new and exciting running adventures. For me, discovering fresh trails and experiencing new races is the best possible way to explore the world. I get to see so much more than the average tourist, things that don’t always feature in a typical guidebook. WHAT COULD BE MORE THRILLING THAN A RACE ON ONE OF THE WORLD’S MOST FAMOUS VOLCANOES?! After I finish work, I’ll drive to Liverpool airport, fly to Rome, eat dinner overlooking the Colosseum and spend the night in my favourite city. On Saturday, I’ll catch the train to Naples, get a lift to the Amalfi Coast from my friend Leo, and stay in his beautiful hotel in Ravello. On Sunday, I’ll compete in the Trail Del Vesuvio, a 21km race on the slopes of Mount Vesuvius. Then I’ll spend another night in Ravello, enjoy a run in the mountains on Monday morning, before flying back from Rome and returning to work in the UK on Tuesday. Admittedly, it’s a crazy and hectic travel schedule, but in my opinion a small price to pay for such an amazing experience. After all, what could be more thrilling than a trail race on one of the world’s most famous volcanoes! Planning such an adventure can be extremely tricky, it’s often a logistical nightmare and difficult to know exactly where to start. There’s the small matter of finding a race, before the real work begins – booking flights and trains, hiring cars, sorting accommodation, transfers etc. Everything has to be timed to perfection and sometimes I have to rely on luck rather than organisation! Despite this, I’ve managed to enjoy some amazing, action-packed weekends and now I want to help you do the same. Choosing a race is the first and most important decision that you’ll have to make. It can however prove quite difficult, especially as there is so much choice! My advice would be to consider a place or country that you’ve always wanted to visit and then search for a race near to that location. For example, I desperately wanted to run the Path of the Gods, on the Amalfi Coast in Italy. After doing some research on the internet, I accidentally stumbled upon the Trail Campania website which provided me with all the details about the different races in the region. I’ve since competed in 4 different races and explored much of the spectacular Amalfi Coast on foot. There are also several other useful websites that can provide you with a list of European race fixtures, recommendations and all the other information you might need. You’ll also need an up-to-date medical form in order to compete in Europe, which must be signed by your doctor. Be aware that unless you have a friend in the profession, you’ll have to pay a charge for this service. If you’re planning on competing in Italy then apply for a Runcard. It costs 15 Euros and is valid for a year. In addition to this, if you are training or competing on dangerous mountainous terrain, I would advise paying for specialist travel insurance. Most standard policies, especially those insurance services provided by your bank for example, won’t cover you against an accident of this type. Check the small print BEFORE you run. To be safe, it’s best to get cover for the days that you know you’ll be running/competing, or for the trip as a whole. The best company I’ve used for this is Sportscover Direct. 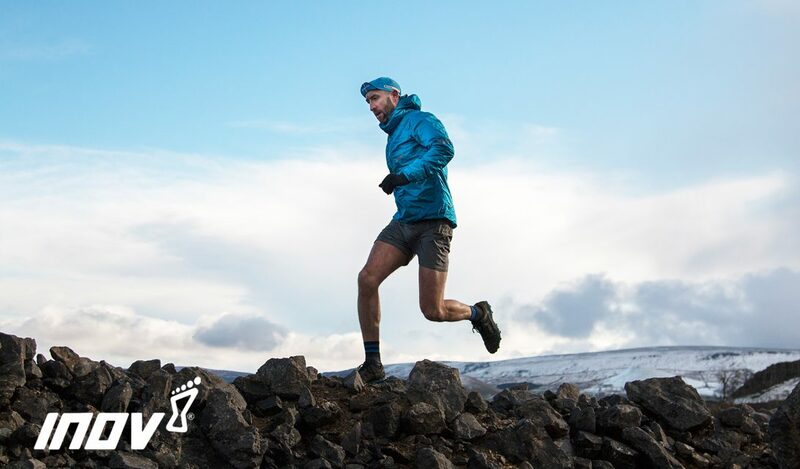 They’re one of the few insurance companies who actually have an option for ‘mountain running’ on their online application form and it’s best to purchase specific cover just in case you do require medical care. It’s always better to be safe than sorry!!! Before you enter the race, first check that there are flights available, and at the right price. If you’re prepared to search around and be flexible on which airports you fly to and from, then you can really find some great deals. I can recommend using www.skyscanner.net to search for possible flight combinations. Don’t forget to ‘add nearby airports’ to your search list and this will increase the number of options that you have. Sometimes it’s cheaper to fly via another place/country e.g Amsterdam, which is one of a number of European transfer hubs for connecting flights. My personal favourite airline is Lufthansa; Germany efficiency at its best. They rarely cancel flights, they’re usually on time and they always look after their customers. You even get free food and drink on the flight and ‘free’ is my favourite word, closely followed by ‘reduced’. It’s worth knowing that in Italy, Milan and Rome are two of the easiest and cheapest places to fly into. Both cities have 2 airports and most of the mountain races I’ve competed in are accessible from either. As a starting point I’d look for flights to one of these cities, as most UK airports include them in their list of destinations. If you’re a confident driver, then a hire car is by far the quickest and easiest way to get around and about. For a start, you can be more flexible with your travel plans and you’re not a slave to public transport. It also means you can visit and see more places in the short time that you have available. Just last year alone, I drove a hire car in 12 different countries! Personally I think the best website to search for a car rental is Zest www.zestcarrental.com (they also offer better rates to loyal and returning customers). I’d recommend using sat-nav to avoid toll charges, especially if you don’t want to pay for the privilege of using faster and more direct roads and motorways. You’ll also need to remember to take your driving license and a credit card with you. The latter is required to allow a pre-authorisation block to be placed on your account, as a security deposit in the event of an unfortunate accident. If you’re considering driving on the Amalfi Coast you might also want to wear a nappy and book additional life insurance. Only a confident and calm driver can handle the hair-raising turns, deathly switchbacks, steep drops into the sea and crazy italian drivers. It’s certainly not a travel experience for the faint-hearted, but if you can drive on the Amalfi Coast, then you can drive anywhere in the world! Alternatively, you can travel on trains, buses or pre-booked transfers/taxis. It’s always best to book in advance (wherever possible) to save money and in most European countries, public transport is cheap, very reliable and usually runs on time. In Italy, the FrecciaRossa (https://www.italiarail.com/frecciarossa) are (slightly more expensive) high-speed trains, operated by Trenitalia, making journeys between Italian cities as smooth and short as possible. I’s recommend using these if you’d prefer to save time and travel in greater comfort. If you’re catching a bus in Italy, you’ll have to buy your ticket in a local Tabaccheria (Tobacconist) before you travel. You can purchase them over the counter (single or return) and you must make sure you stamp them in the ticket machine as you get on. If you don’t stamp your ticket (bus or train! ), then you risk paying a fine! It’s sometimes worth checking the price of a flight + train journey, compared to a direct flight. For example, for my latest trip to Italy, the closest airport to Mount Vesuvius is Naples. However, I’ve booked a flight to Rome and a train journey to Naples, rather than a direct flight to Naples – the difference in cost is around £250! Once your travel plans are in place, the next step is to find some accommodation. If you’re a seasoned traveller and lucky enough to have personal connections, then you could always stay with friends in the nearby area. However, it’s unlikely that this will be an option, so the obvious place to start your search is a website like Trip Advisor. Not only can you book a room through the site, but you can see how accommodation has been rated by other guests. Depending on the length and type of my trips, I book a standard of accommodation in relation to how much time I know I’ll be spending at my chosen destination. For a short weekend break, basic rooms at a cheap price are perfect. I choose them for convenience, rather than comfort and quality. However, if I’m going for a week or two, I’m more likely to choose somewhere more luxurious. My favourite hotel is the Parsifal in Ravello, on the Amalfi Coast. The Mansi family who run the establishment have become great friends of mine and always provide their guests with a most amazing holiday experience. Plus, if you’re fast enough to keep up with Leonardo Mansi, he might even take you for a run in the mountains and show you the best local trails. I think it’s worth emailing the race organiser to ask for their personal recommendation/s. Usually they will have their own connections and their knowledge and advice could make your trip even easier and more enjoyable. If you’re an international athlete, there’s a good chance they’ll offer you free accommodation, because they’re always looking to improve the standard of competition in their race. It’s always worth a cheeky email before you book somewhere! Another alternative is to use Airbnb. It’s not something I’ve personally tried, but comes highly recommended by many of my friends. Of course, if you want to enjoy a running holiday without the hassle of meticulous planning and preparation, then check out somewhere like Pyranees Haven, run by fell running legend Gary Devine and his wife, Debbie. Already popular amongst the fell running community, you can enjoy a holiday in the French Pyranees with very little effort in terms of organisation. They offer shuttle transfers from the nearby airports and recommendations for flights to France or nearby Spain. For a package price, you can enjoy excellent accommodation and enjoy amazing home cooked food at half-board. There is also the opportunity to compete in some of the competitive races in the area or simply enjoy running on the local trails. As an alternative, in the winter months, you can switch to the slopes and ski! I can guarantee you’ll have a fantastic holiday and be extremely well looked after! Choosing the right kit (especially shoes!) is essential and very important. It’s best to research what kind of terrain you’ll be running on and what the weather conditions will be like at that particular time of year. Study the course details on the race website, email the race organiser or ask someone you know that has done the race before (or something similar). I always wear inov-8 and have shoes for every type of terrain and condition. The X-Talon 210 are suitable for trail and fell races where both grip and weight are both a priority. They are my lightweight racing shoe of choice. However, if I’m racing on dry paths and trails, then I might take the Roclite 290 as an alternative. inov-8 design and make shoes to fit all shapes and sizes of feet and for all types of terrain. So if you’re unsure of which to choose, then either contact inov-8 or myself, for a personal recommendation. So there you have it, my top-tips for a travelling mountain runner in one handy, helpful blog. The Mountains Are Calling…don’t leave them waiting! I’ll see what happens after this next ultra..